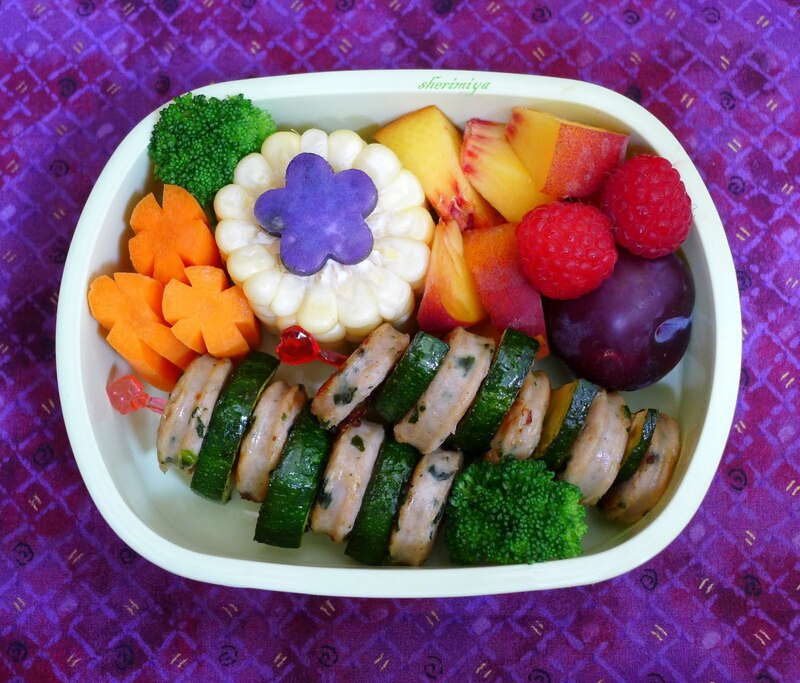 Sausage Zucchini Skewers Bento, a photo by sherimiya ♥ on Flickr. 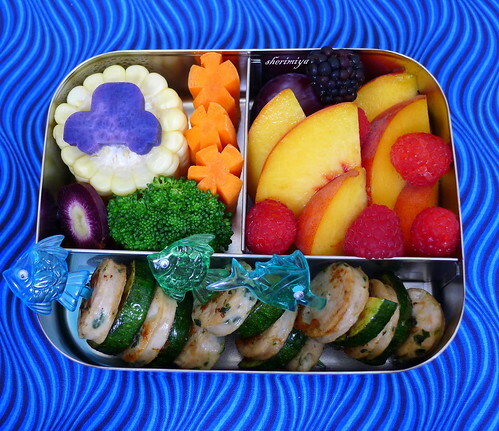 My kids got matching bentos, consisting of chicken and spinach nitrite-free sausage and zucchini skewers. I love the way they fit in the long section of my LunchBot Trio. Veggies went in another section: car-shaped Okinawan sweet potato, corn on the cob, broccoli, and orange and purple carrots. Fruit went in the last section: luscious peaches, raspberries, blackberry, and baby sugar plum. TinySprite's bento had the same ingredients, in a more petite version. Ta-daaa! so colorful, love the sweet potato cut-outs! Oh it's so pretty! 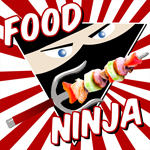 And I love those fish skewers! With that wavy background.. just makes me think of vacation at the beach again. I love how all the colours pop in your bento, they are just so fresh and delicious looking! This is a great way to eat zucchini... I mean have my kids eat zucchini. =) Looks more fun to eat veggies this way!